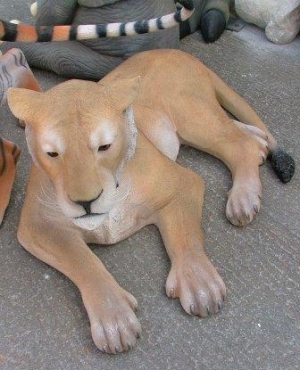 This life-size resin model of a lazy Lioness is ideal in a group with the 3 Lion cub models or with the other African Safari animals in our range. The Lioness model is great for Safari theming at attractions and theme parks, for Jungle theme parties or for the garden. 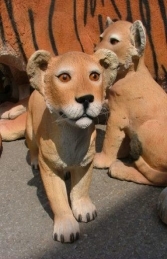 The model works really well with the other Big-Cats and African animals such as Zebra, Giraffe and Elephants.